A nice enough day with a couple of decent pictures, but Flickr won't let me log in without insisting on sending some sort of code to an email I haven't had for nearly 10 years, so I can't put any pictures up here until I get home, I guess. 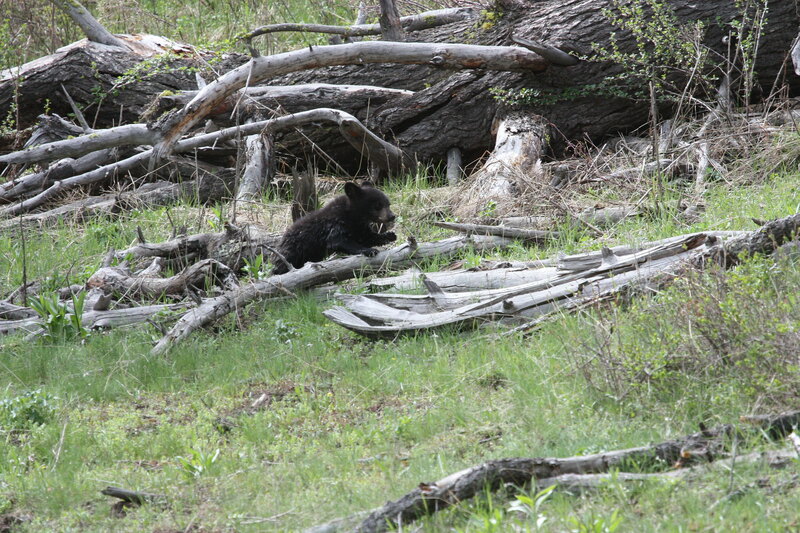 At Calcite, the black bear mother with small black cub was fairly close, though backlit. 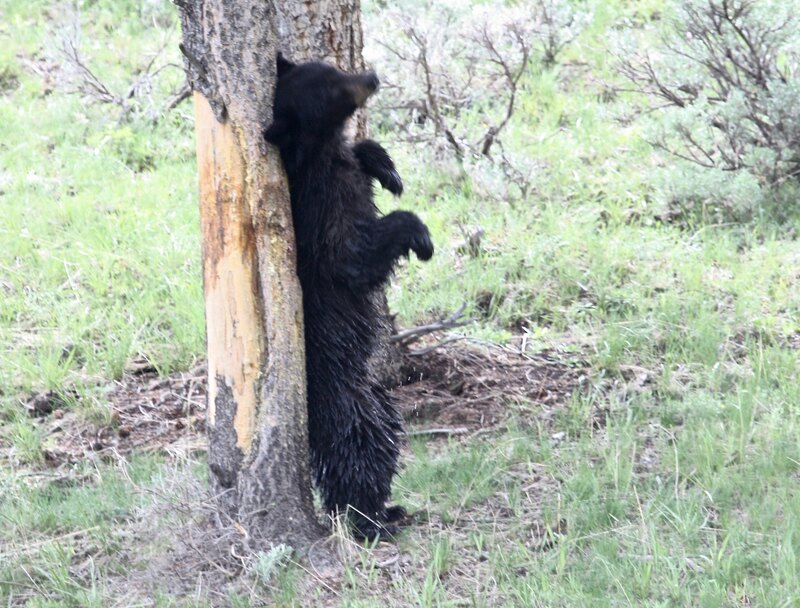 The cub was very energetic, climbing 4-5 trees, and mom entertained while standing up and alternately rubbing her back on a tree and then turning around and hugging it. Went out to Hitching Post where I met up with Rick and Alicia, who showed me the badger den that had no activity for a very long time, so we left. 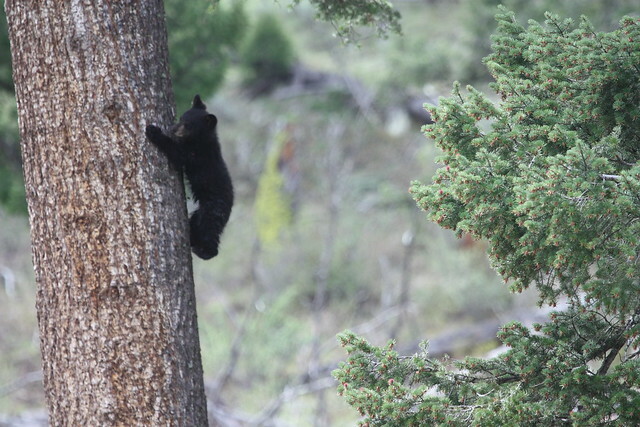 I headed back toward Tower, and New Rosie was at the top of Roosevelt Curve with her 3 tiny ones, who spent a lot of time in the trees but also came down and sparred a bit. The lighting was tougher than me, and my pictures are pretty bad. Just as I pulled out, Connie went by. I turned around and said hello, but we never got to talk. 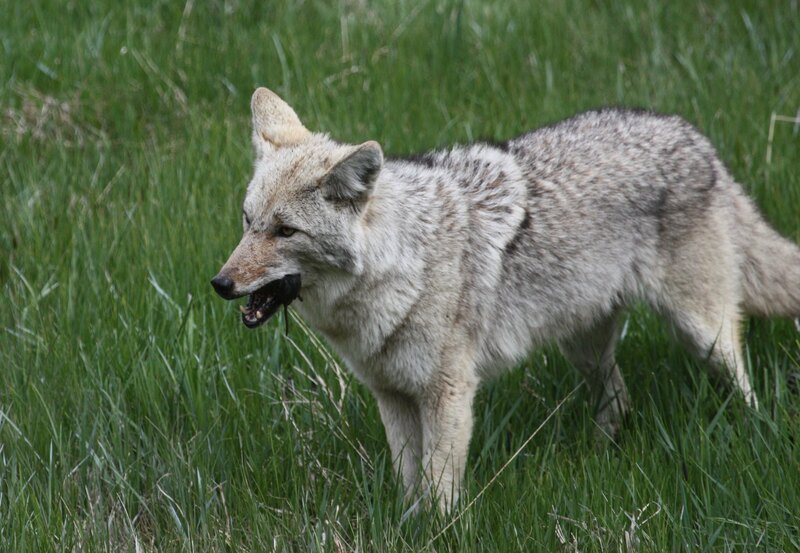 Drove back to West, and a coyote pair provided my best pictures of the day, fairly close in decent light. One was right down by the river. I didn't see the other until the first one left, and I turned around to follow it. They both crossed to the north side of the road, then trotted through the rocks until they got to the big rockfall where people often find pikas, fairly near the Mount Haynes overlook. Weather has been fit for short sleeves, sometimes fairly rainy, other times quite sunny. There were lightning storms last night but not today that I saw. Last edited by lah on Sat May 26, 2018 8:36 pm, edited 2 times in total. Thanks for the report! 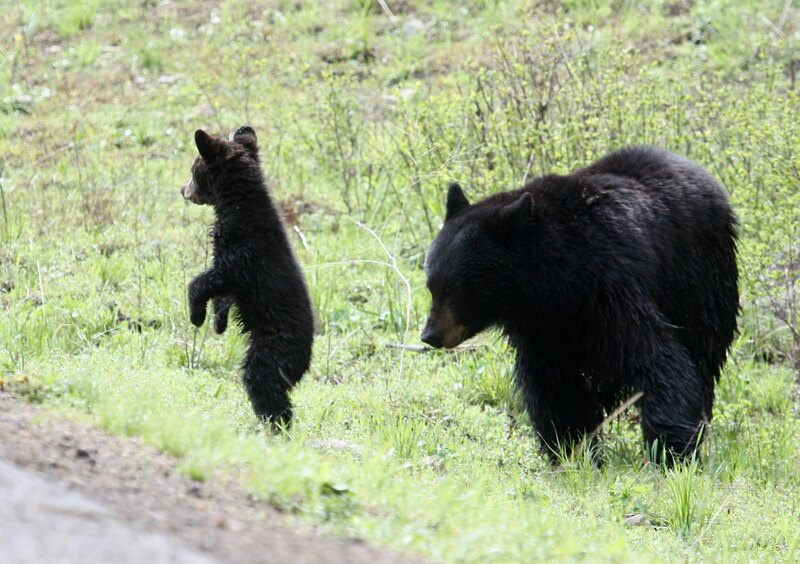 I hope we get a chance to see the baby bears -- sounds like there are a few that we have a decent chance of seeing. And a badger den?!!?? THAT would be fun, so I'll keep a lookout. Appreciate SO much you giving us a report and will wait impatiently for the photos! Linda, thanks for the report. I've had problems, off and on, with Flickr for quite some time. That's why I was considering looking for a new site for posting/hosting my pix....got tired of identifying buses, street/road signs, cars and trucks just to get a fuzzy, hard-to-read verification code that was supposed to identify me as a legit Flickr user. Considering I've had a Flickr account since 2009, you can imagine my frustration and anger when Yahoo kept questioning my existence, whenever I tried to sign into my Flickr account. Had the same problem not too long ago. I was so frustrated that I finally posted a complaint in the Y-Net forum. Within minutes, my Flickr account was mysteriously restored (how interesting). Happy to report that I haven't had any problems since then. But the minute I got into my Flickr account, I immediately changed my password. And, I plan to change it regularly, from here on out. Hopefully, that will eliminate any Flickr sign-in problems in the future. Linda, I think that if you contact Yahoo/Flickr customer support directly, they'll more than likely give you access to your Flickr account. When you get in, I highly recommend that you change your password. And then change it on a regular basis. With all the hacking going on these days, I think that many companies have become consumed (and perhaps a bit overly zealous) trying to protect user accounts, personal information and company data. While I appreciate their concern and close attention to security, I fail to understand why Yahoo just doesn't send Flickr users an email asking them to change their passwords and/or specify a particular date. To keep denying users (especially long-time users) access to their accounts, can't be good for Flickr's business and it probably won't be any good or win over any new customers for Smug Mug. Can't help but wonder if the Yahoo/Flickr sign-in problems are somehow related to Smug Mug's acquisition of Flickr. Anyone else having Flickr or Yahoo sign-in problems? Thanks, Dorothy, Yellvet and Mike. The Flickr on my home computer seems okay, but for my laptop, it wants to send a code to an email that has been defunct for nearly 10 years. I've had my Flickr account for many years, 10 at least, since it has my old email. I like Flickr, other than this. When I have time I will see if they can't identify me in some other way. Mike, thanks for posting...sounds pretty encouraging, at least, for now. Personally, I'm going to reserve judgement on Flickr's performance until we get a bit further down the road....6 months or perhaps a year. This should give Flickr and SmugMug plenty of time to work out all the kinks/account problems and user complaints. Linda, it almost sounds as if Yahoo/Flickr/SmugMug sees a discrepancy between some of the account info that's tied to your home computer and the account info that's tied to your laptop (user id, password, email address?). If any of the account info is different, this might be why you keep getting locked out of your account and keep getting emails requesting a verification code. Flickr wants to make sure that lah really exists and is not a hacker or a robot. Might be best to contact Yahoo/Flicker customer support and let them straighten out your sign-in problem. I know how frustrating it can be when you've been denied access to an account that you've had for over a decade. Or be told via email that Flickr is "so sorry"but it cannot restore your 10+ year old account that has over 3200 posted images. Oh really? One complaint on Y-Net sure did the trick for me. My Flickr account including all my images was restored within hours of making the post. Not sure if Bruce or if someone else contacted Yahoo/Flickr on my behalf or if a Yahoo/Flickr employee is monitoring Y-Net posts, but my sincerest thanks and appreciation go out to the person or people who were responsible for getting my Flickr account restored so quickly. Thank you, thank you, thank you! Yellvet, glad some of your issues have improved. I don't think there should be a difference between desk and laptops, but the laptop isn't used as much. If I still have problems I'll try contacting them when I get home and have a chance. My home computer worked fine when I posted pix last week, so I hope it stays doing well. Last edited by lah on Mon May 28, 2018 6:23 pm, edited 1 time in total. Awwwww -- SO cute! 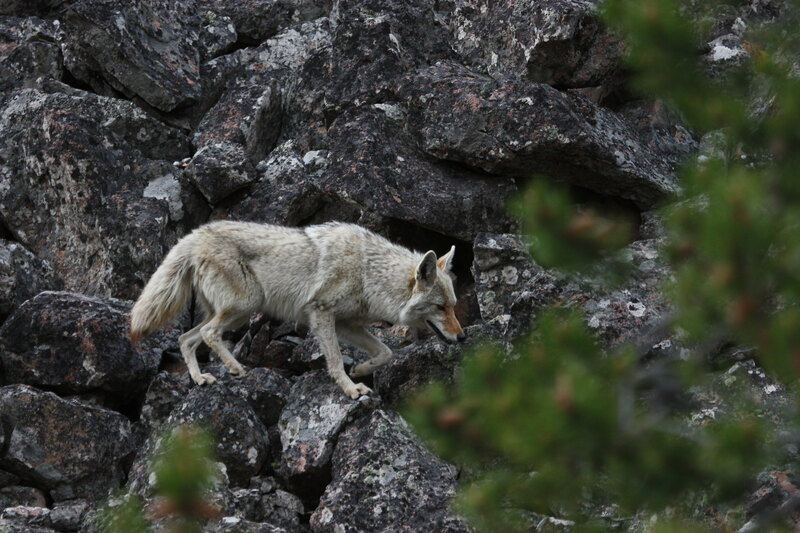 Love the bear photos, and the coyote is amazing! Glad you were able to get them on, and thanks for sharing! Thanks, Dorothy. It was a fun trip, and some of the pictures turned out okay -- for me.